What to wear to the Calgary Stampede? Last week I attended Prairie Spirit Fashion show here in Calgary. It is an annual fashion show for Stampede, produced by SQ Commons where four fashion experts create looks that show the spirit of western wear using outfits from designers of their choice. 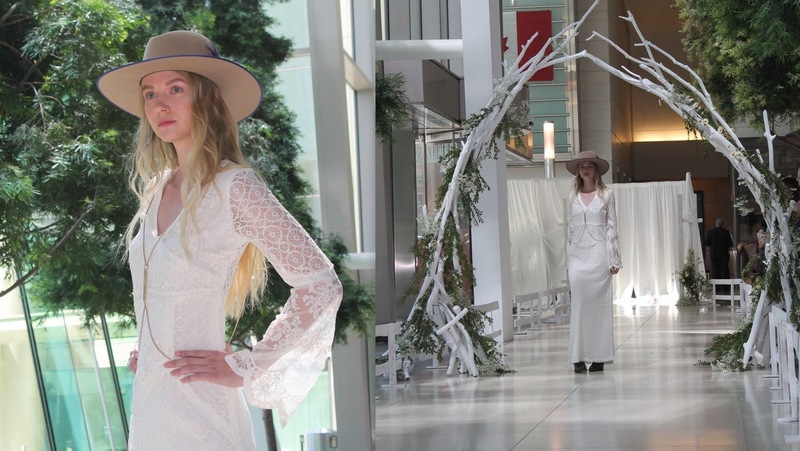 It was a forty-five minute show that took place at Eighth Avenue Place building where the Heart Truth Fashion Show took place last year. We saw lots of fringe, denim pieces, leather, hats, Navajo patterns,.. basically everything I like. Here is the list of fashion stylists present; Taylor Mc Donald, Jaia Talisman, Ivan Jimenez, Velvet & Vino's fashion blogger Becky Kung. Stampede is starting tomorrow, we are all excited about it. Get inspired by these looks and Let the fun begin!